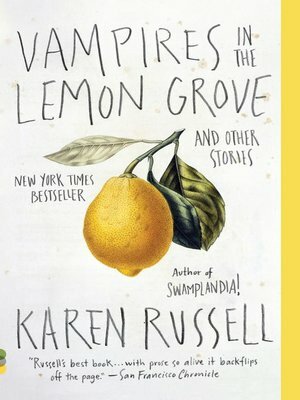 From the author of the New York Times best seller Swamplandia!--a finalist for the Pulitzer Prize--a magical new collection of stories that showcases Karen Russell's gifts at their inimitable best. A dejected teenager discovers that the universe is communicating with him through talismanic objects left behind in a seagull's nest. A community of girls held captive in a silk factory slowly transmute into human silkworms, spinning delicate threads from their own bellies, and escape by seizing the means of production for their own revolutionary ends. A massage therapist discovers she has the power to heal by manipulating the tattoos on a war veteran's lower torso. When a group of boys stumble upon a mutilated scarecrow bearing an uncanny resemblance to the missing classmate they used to torment, an ordinary tale of high school bullying becomes a sinister fantasy of guilt and atonement. In a family's disastrous quest for land in the American West, the monster is the human hunger for acquisition, and the victim is all we hold dear. And in the collection's marvelous title story--an unforgettable parable of addiction and appetite, mortal terror and mortal love--two vampires in a sun-drenched lemon grove try helplessly to slake their thirst for blood. Karen Russell is one of today's most celebrated and vital writers--honored in The New Yorker's list of the twenty best writers under the age of forty, Granta's Best of Young American Novelists, and the National Book Foundation's five best writers under the age of thirty-five. Her wondrous new work displays a young writer of superlative originality and invention coming into the full range and scale of her powers.